HEMOREX provides essential nutrients to maintain elasticity and integrity of capillaries which is critical to withstand the stress and strain of racing. · Bioflavinoids will aid horses lungs by three modes of action by: a) lowering blood viscosity thus reducing blood pressure. b) reducing the damage to blood vessels at inflamed sites. c) strengthening and restoring elasticity to the capillaries. · Vitamin K is essential for the formation of prothrombin, and the three other blood clotting proteins. · Vitamin C is a potent antioxidant needed to protect the capillary membranes from oxidation induced damage. Horses over stressed by training and racing often cease to produce ascorbic acid (Vitamin C). 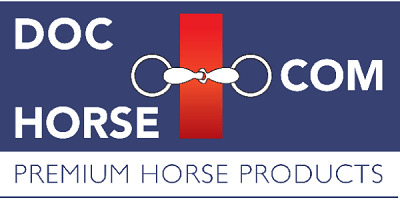 HEMOREX is a unique dietary formulation of Bioflavinoids, Vitamin K and Vitamin C which is intended for use in race horses. It is estimated that 75% of race horses will bleed from the lungs, at some stage during their career. HEMOREX acts in a number of ways to improve the strength, elasticity and muscular tone of lung arteries, clotting ability of the blood to mend minor vessel ruptures or leakage, and helps in reducing chronic airway inflammation. It can be administered up to and including race or competition days. All Horses Feed 50g per day for 10 days. Thereafter feed 25g per day. To promote and maintain healthy lungs, it is advisable to use HEMOREX when horses commence training. Complementary Feedingstuff for Horses.